Back in 2013, there was an interview with a former Capcom marketing head about where the studio’s flagship series, Resident Evil, was headed after the release of the controversial sixth entry the year prior. 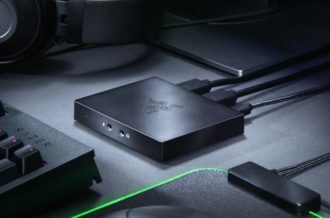 Specifically, the interview name drops The Last of Us and Tomb Raider as influences to reassure longtime fans that the series would be attempting a return to form with its next entry. At the time, I chuckled; Resident Evil 6 was such a departure from what the series had originally started out as, a horror-filled trip with limited ammo through mysterious locations, that it seemed nigh impossible for the next entry to make such a complete u-turn and stand to shoulder to shoulder with titles such as those. Three years later, a mysterious gameplay demo during Sony’s E3 press conference was revealed to be Resident Evil 7, complete with a new perspective, shifting to first-person for the first time in the series’ multi-decade history. Now, after multiple teaser demos, Resident Evil 7 has emerged, and with it, despite some inconsistencies in plot and combat, comes one of the franchise’s most memorable entries, thanks to polished and intense gameplay, as well as some truly terrifying sequences. 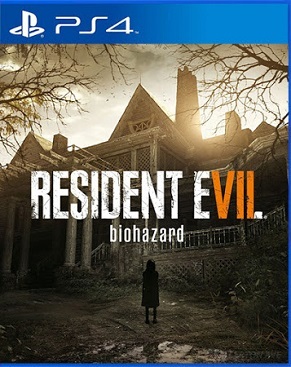 Resident Evil 7 takes place in in Dulvey, Louisiana, where protagonist Ethan Winters attempts to track down his missing wife, Mia, inside the haunted home of the Baker family. Unlike most horror plots, Resident Evil 7 makes no attempts to pretend that the story that is about to unfold is a pleasant one, with the opening sequences providing some of the game’s most haunting moments. The plot progresses at a somewhat inconsistent pace, allowing the gameplay and Ethan’s early motivations to suffice for a large portion of the game, along with the occasional tidbit gleamed through video tapes and writings. Once the story does start ramping up, it throws numerous revelations at the player through its conclusion, not all of which land as heavily as intended. In addition, the dialogue can also seem rather clunky at times, thanks to occasionally poor and repetitive writing. However, the true draw here is the Baker family, with each member bringing their share of perks and terrors to the table, making each new area feel unique as it dips into various aspects of the horror genre. 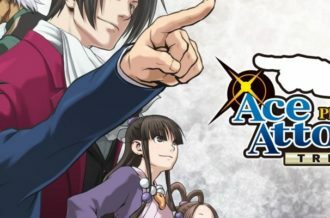 While they sometimes fall into standard cliches of the genre, their over-the-top and surprising nature boost the experience to incredible heights, marking their place as one of the storied franchise’s most memorable characters. 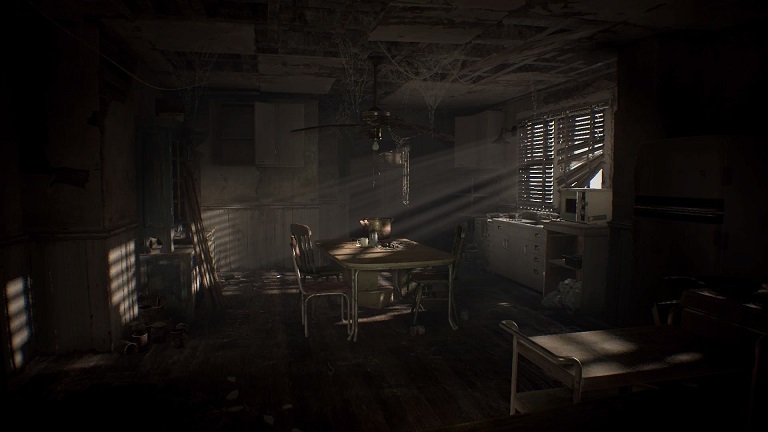 The locations are a key motivator as well, with the Baker’s family mansion epitomizing Resident Evil 7’s consistently tense atmosphere, thanks to clear inspirations from the main location of the premiere entry in the series. Players will rarely feel safe even in the most mundane of locations, and rightfully so, as Resident Evil 7 is packed with jump scares and disgusting creatures that lurk around every corner, making even the simple act of exploration a highlight for the title. Unfortunately, the combat represents another one of the game’s conflicting aspects, as what starts out as intense sequences of life-or-death scenarios eventually become rather routine, as the player’s arsenal grows and limited ammo and health becomes all but a distant memory. 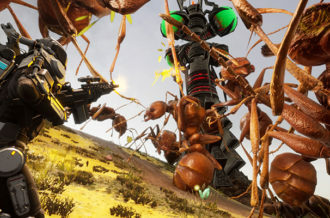 The lackluster AI doesn’t help either, with both stealth and combat sequences being hampered by the poor tracking and sight capabilities of the enemies. On the bright side, gunplay is not all that Resident Evil 7 has to offer, with plenty of item-based puzzles, collectibles, and secrets to keep the player occupied for the eight-hour campaign, with unlockable difficulties and multiple endings adding to the game’s replayability. While backtracking and inventory management can slow down some of the game’s momentum, the constant adrenaline rushes make the game hard to put down, particularly due to the semi-frequent boss fights, which implement some truly jaw-dropping mechanics that will keep players on their toes. The presentation of Resident Evil 7 is certainly not the game’s strong suit, although one cannot blame the transition to first-person as a result of this. While the game is thoroughly polished and the soundtrack, while infrequent, only helps to further stress out the player, the graphical nature of Resident Evil 7 is rather dismal, particularly during certain cutscenes that involve various characters getting up close to the player, which seems aimed towards VR users but looks shoddy on a standard viewing platform. 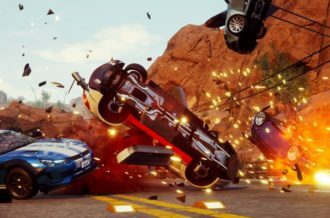 Otherwise, for players who have yet to acquire a PlayStation VR, the normal play style is perfectly capable of supplying the same thrills and chills that a more immersive experience could improve upon. The voice acting also tends to bear its head as a cause for concern, with the stellar voicework of the Baker family being poorly supplemented by the protagonist and his cohorts, thanks in part to the aforementioned writing quality. 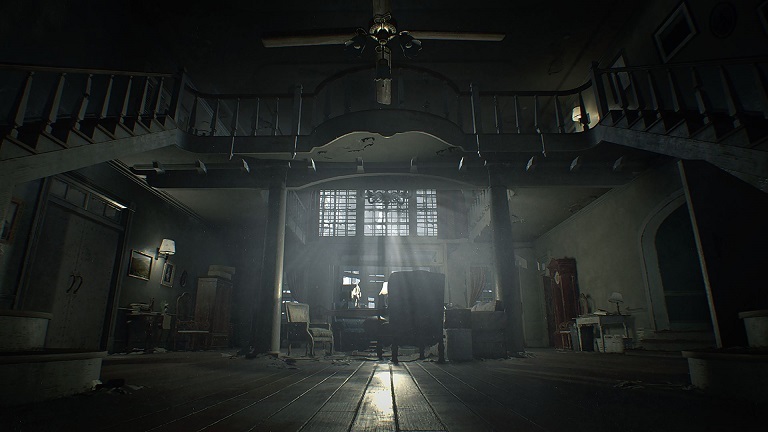 Many of Resident Evil 7’s smart design choices overcome these shortfalls, including a barebones UI, save system that combines modern and old elements, and tight controls that rarely get in the way of players during more intense situations. But, they still hold the game back from becoming something more, and considering how poor writing and voice work have started to become staples for the franchise, it’s hard not to be let down by Capcom’s continued commitment to plot limitations such as these. On paper, it’s easy to pick apart Resident Evil 7 for its inconsistencies; the game struggles to find a balance between being purely horror or a title more reminiscent of Resident Evil’s past, and the poor presentation and writing don’t help. And yet, in the moment, much of that can be easily forgiven or even straight-up forgotten because it immerses the player so well into a terrifying world of horrors thanks to the polish, initially intense combat sequences and numerous memorable sequences that range from simple exploration to grand, over-the-top boss fights. 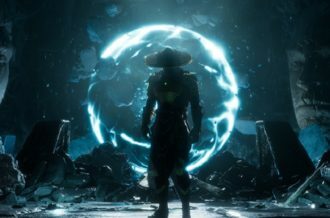 Capcom has once again managed to reinvigorate and reinvent one of gaming’s most beloved series, and there’s already plenty of intrigue as to where the franchise is headed next. But for now, the Baker family’s tale is one that demands to be shared, and Resident Evil fans and horror fans alike will find plenty to encourage and engross as they push, crawl and fight their way through a bold new step for the classic series.